Our tablecloths are 100% Polyester Poplin Textile. Printed Table Covers are printed with 4-Color process-dye sublimation imagery. Our Printed Table Coverings are suited for indoor or short-term outdoor use. Enhance your promotions with the finest quality textile printing in the industry! 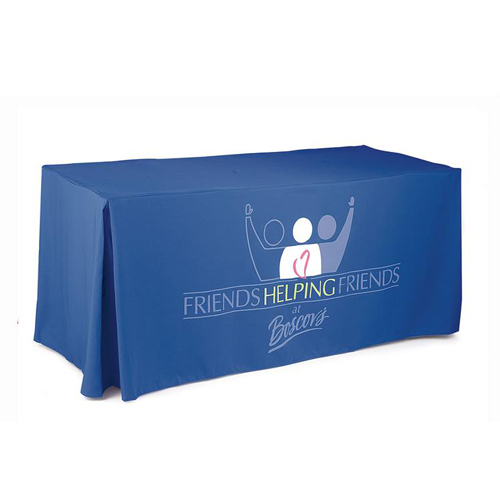 Branded Tablecloths are a perfect way to increase brand recognition at any event.